Within the LIFE DINALP BEAR project, we pay great attention to the prevention of damage to human property caused by brown bear. 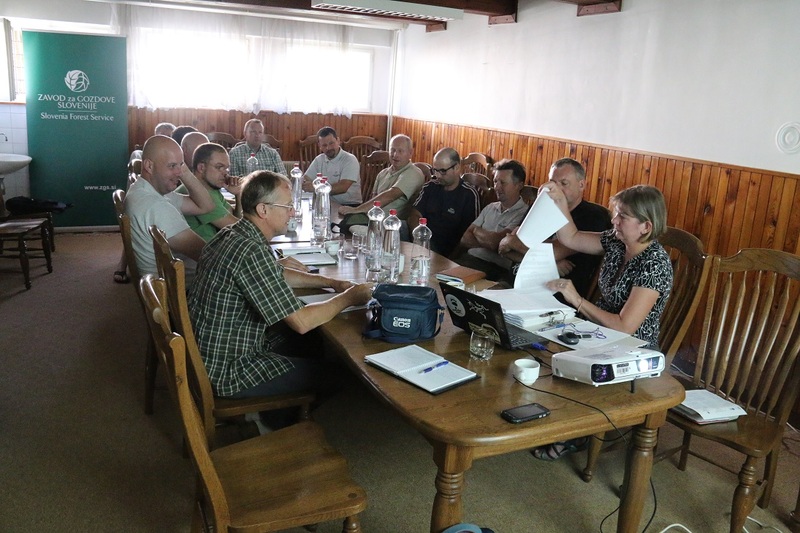 Therefore, we regularly cooperate with Slovenia Forest Service (SFS) damage inspectors, who carry out assessments of damage claims by protected species in the field. Damage inspectors regularly face situations, in which they have to talk to person suffering damage about how the damage has been caused and how to prevent it in the future. Often, emotions overwhelm the parties when damages occur on property, in which a lot of effort and time was invested. That is why we organized seven meetings with damage inspectors from all SFS regional units in June, and discussed their experience from the field, the cooperation with farmers engaged in animal husbandry in the area of ​​large carnivore presence, and presented them various measures of protecting property from bear and other carnivores attacks. 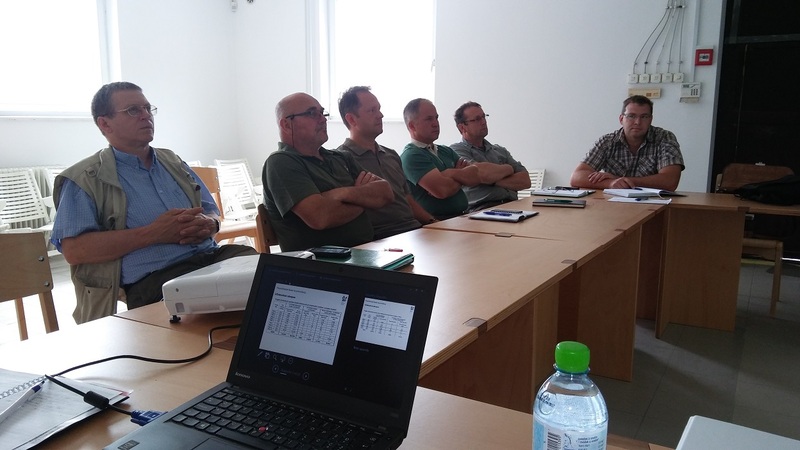 A representative from the Slovenian Environment Agency (ARSO) also attended the meetings and discussed the assessments of damage claims procedures, the preparation of assessment forms, and further collaboration between SFS and ARSO. 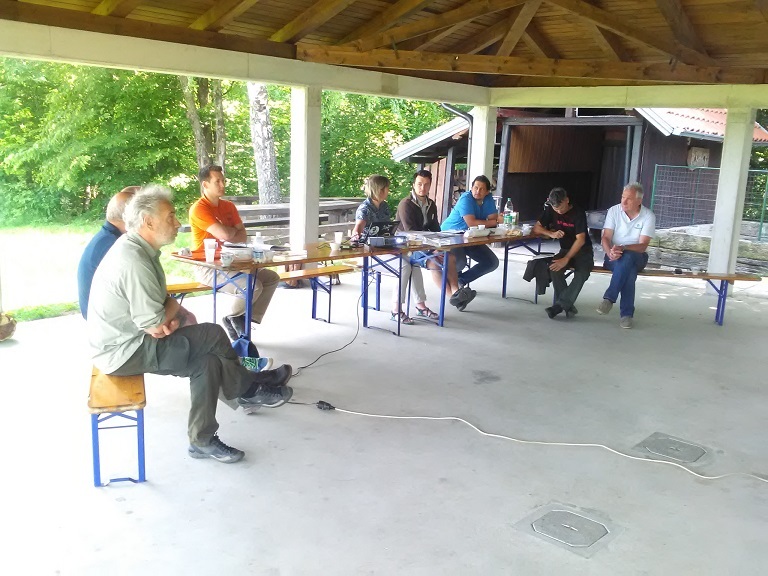 Such meetings are important for all participants, as this is a good opportunity to exchange experience from the field and to improve long-term cooperation, in particular towards a common goal – to reduce damages caused by bears and other protected wildlife species on human property in terms of a better coexistence.